Sounds as good as it looks. Beautiful aesthetics in this great sounding, carry everywhere premium Bluetooth speaker featuring Hi-Res Audio. Comes with a dedicated 3A power brick with folding prongs, Euro & UK adapters, 6700mAh internal battery and User Manual. The Model Zero looks like it's directly competing with the Harman Kardon Onyx Studio 5 Bluetooth Speaker, but with longer playing time (10 hours versus 8 hours with the Onyx Studio 5), Hi-Res Audio support, App customized equalizer and IPX5 water-resistance. Turn it on, you'll hear an audio tone and it immediately goes into Bluetooth pairing mode. After connection, it will remember that connection and will automatically connect to the last known device. You can connect it to multiple devices at once. 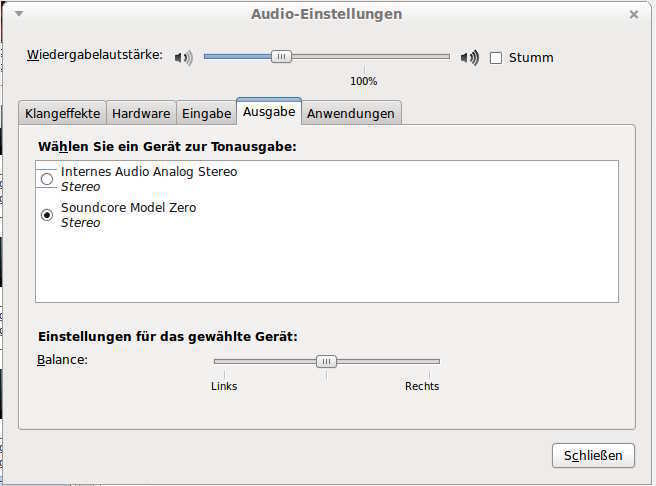 Both my Samsung S8 and iPad Air 2 are connected and can stream audio alternately to the Model Zero. The controls under the grip are clear and intuitive. There's a BassUp button, -, Play/Pause, + and Bluetooth buttons. The -/+ buttons control the Volume either by pressing on them or long-pressing for quicker adjustments (in the app you can change that to Previous/Next track). You can also control the Model Zero with the Soundcore app (I also use this app with my Soundcore Flare). There are built-in Wave EQ settings (no user customized EQ): Voice, Default, Flat, Chill and the BassUp setting can be turned on or off. A graphical battery indicator is always visible in the connected speaker screen. At the bottom of the app are settings for Standby Time of 15 minutes to 2 hours. When idle and the time is up, the device will turn off. You can also check to see if your speaker has the latest firmware and apply it. For it's size, this speakers sound great with four front facing drivers and passive radiators in the front and back. With Hi-Res Audio, the frequency response is broader and delivers clarity to my ears. It is almost like a 360 degree sound, as the audio sounds the same from the front, back or sides. The exterior is covered in a mesh fabric with brushed aluminum accent around the circumference of the Model Zero. A rubberized door in the back conceals an AUX port, a power/charging input port and what looks like a Reset button. Also, I've been using the Model Zero as a conference call speakerphone in my home office. Calls are crystal clear. They hear me perfectly without interference and crisp. I love the look, weight and loud clear sound of the Model Zero. I would have preferred a USB-C connection which would allow me to use any USB-C charger available. And instead of Bluetooth 5.0, I would have rather liked having it work with WiFi and Alexa built-in. Although, I understand the Model Zero+ is the WiFi version with Google Assistant and Chromecast integration. Despite these small caveats, I recommend it if you don't need or already own a virtual assistant and want a great sounding portable Bluetooth 5.0 speaker that KICKS! Great review and pictures, @Dez_S! Thanks for the review.... You mentioned yours came with a Micro USB cable but your charging port shows a barrel plug so I'm confused which it is or for? My mistake and thanks for pointing that out. It did not come with a Micro USB cable, as it does not need one. I've edited my post and added what else it comes with. Nice pictures and great job on the review. Great job with the review and pics. Nice review and great pictures @Dez_S! Great review but another product I wouldn't buy, yet. I never used that application. But as far I see there is really nothing which I need. The presettings of the eq? Not enough for my taste. Have you used an professional 10 frequency eq as well? If not, you should try this. The LED near the ON/OFF button starts blinking when battery is low. This is a really professional review. After looking at it, I would like to see this box in real ! And especially, I would like to hear it. Maybe @elmo41683 can confirm this if he has a late model Android phone, but I noticed that I can go louder using the Soundcore app and my Samsung S8 than with my iPad Air 2 using the iOS version of the Soundcore app. For example, when I raise the Volume to 100% on my Samsung S8 phone via Bluetooth, in the Soundcore app it's registered at 50% like in the 1st app photo above. I than can go even louder to the very end of that circle via the app. This does NOT occur with the iPad or iOS version of the Soundcore app. PLUS, the only way to update the firmware of the Soundcore speakers is thru the app, just so that you know. I noticed my Soundcore Flare speaker needed a FW update, which I applied. Of course I know I can run the update only via app. But as the speaker works fine, there is no need for me. By the way, after updating the FLARE, did you recognize something better? As you are using Android, which player are you using? There are many, some for free, but offering a useful eq. But I can go to 100% and even more. The volume at the speaker I adjusted to the highest level. Yes @Dez_S I have a Galaxy S9+ and I found that the volume reporting in the app is for the volume on the speaker itself. Which does operate separately from the phones volume. So if I set my phone to 100 percent I can then adjust the speakers volume up or down as needed. This speaker sounds even better than I was hoping. Thanks for your review. One of these might be in my future!